This question cannot be defined in a short blurb or artist bio, for he was, many things to many people. Nipsey was a man who enlightened the world through cultural and education. Was Nipsey the same artist that you’ll see in your local community selling CDs in the parking lot? Yes, he was. Of Course, he was. In 2013 Nipsey set up to sell his 8th mixtape but he had a creative twist to it. He created #Proud2Pay campaign and decided to sell the mixtape titled Crenshaw for $100 a tape. In an interview with Forbes, he explained that no one should force people to buy music but different methods should be created to monetize the connection. 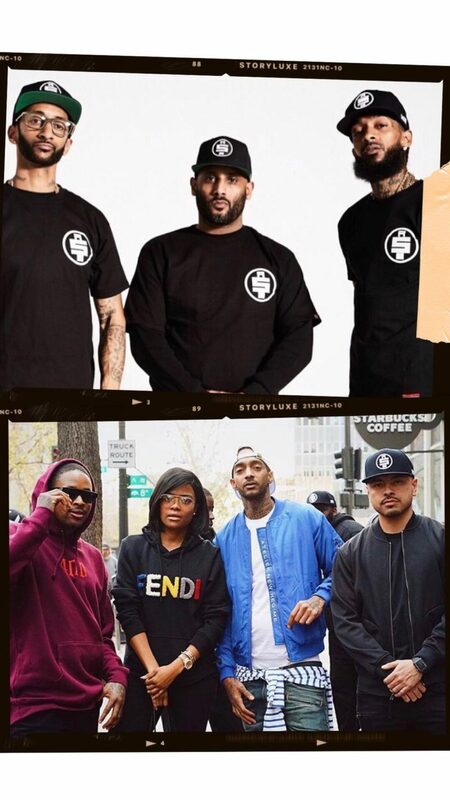 Merchandise is being pushed among artists these days for some it’s another brand outlet for others it’s a way to hustle up studio coins but in Nipsey’s case, it was the launch of an empire. Nipsey created Marathon apparel and the Marathon store with the ideology to have his own retail aesthetics. His ultimate goal was to sale his own CDs, own clothes in his own stores across the country. This leads me to the entrepreneur/ownership culture. In the season where everyone around you is registering for their LLC’s or leaving their 9-5, Nipsey at the age of 33 was full of business gems. He was all for adding value into his investments and encouraged other artists and entrepreneurs to do the same but most importantly do it for themselves. As we live in our purpose and execute our plans the biggest factor that some of us lack is genuine communication and partnerships. Nipsey and his team practiced this with their ventures which are why they continued to grow on their own terms. Activist, Non-Profit Mentors, community leaders we all have them whether in the church or out the church. 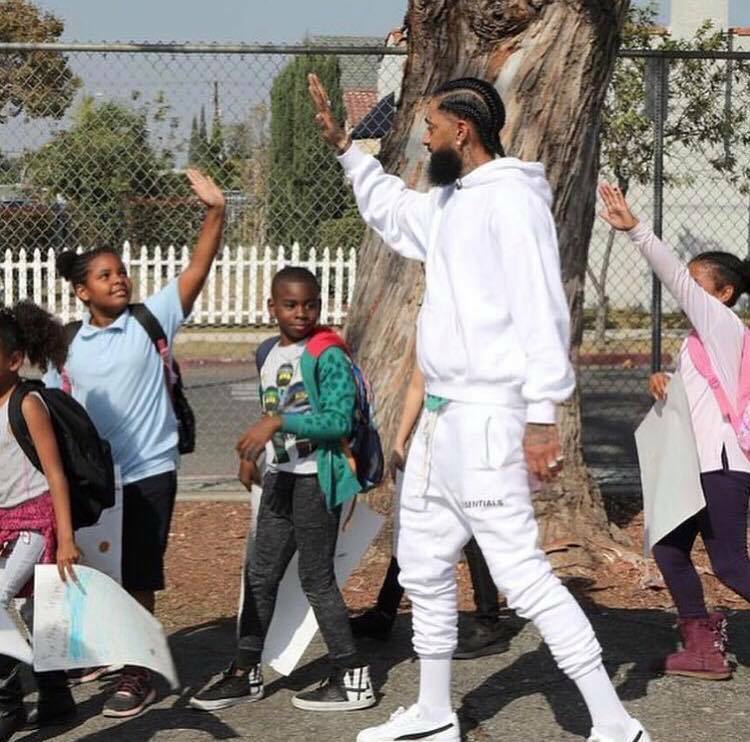 Nipsey himself was a philanthropist that consistently gave back to his community. The Marathon family were laying the blueprint to buy back the block and enrich the impoverished. They started with the neighborhood plaza and the Marathon store that employed ex-cons. He shifted the image of his affiliation to be portrayed not only as a product of his environment but a contribution to his community. Aside from buying the block back, co-founder, Vector 90, a STEM center that connected the youth to technology, he strived for unity regardless of background. In a world divided yet connected by culture, whether you’re African American, Hispanic, Nigerian, Caucasian or in Nip’s case Eritrean, we as people are a representation of a bigger community. Nip was a representation not just of Crenshaw and the whole west coast but also his other roots, Eritrea, a small East African Country. To them, he was proof that they had a place in America even when they felt invisible. As a parent, sibling, or spouse we pride our actions on the bases of not only ourselves but the ones we love. Nipsey was a father who stated in an interview that he takes his daughter and surroundings into consideration when taking her to the studio. He was a brother, #Blaccsam was his best friend, business partner, and brother. Over the span of his and Lauren’s relationship, they became more and more public with their actions. They were beyond your typical industry or celeb story. No one wants a perfect love story but a lover, partner, and friend who rides them and supports every step of the marathon. I say all of this to say. Nipsey was a bridge to many gaps and divisions. He connected cultures and worlds together through knowledge and implementation. So for all the posts that there is a Nipsey in your own backyard those are valid. Let’s replay his marathon: there was a moment when labels didn’t want to sign him because of his gang affiliations, now marches swarmed in various colors are being held. There was a time when having east coast fans shocked him, now murals and amazing representations of his image are plastered all around the country. As numerous interviews on different platforms flood the social air waves, DTLR Villa gifted him with his first post-interview gift: his favorite cereal Cinnamon Toast Crunch. Nevertheless, we must remember every Victory Lap has a starting point. Nipsey Hussle’s staring point was the man selling CDs on the corner, but his Victory Lap is a Marathon.